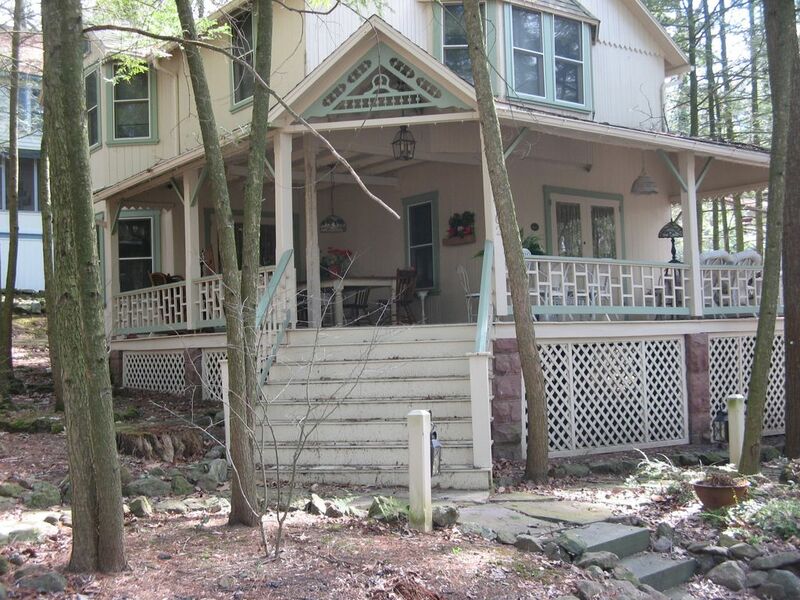 This cottage has lots to offer with 4 bedrooms, 1 queen bed & 3 double beds, and 2 full baths. The fully equipped kitchen has room for several cooks. It has a built in microwave, a coffee maker, and has a pass through to the spacious dining room. Four large bedrooms and full bath on the second floor and top it off with central air make this a great choice for your vacation. There is lots of space to spread out on the porch and enjoy the peacefulness of Mt Gretna. There is also a gas grill and off street parking for 2-3 cars. Unfortunately, VRBO/HomeAway has no way for me to include our local hotel tax in the original quote. I will be sending you a separate payment request for our local hotel tax. I am sorry for any inconvenience, but I have no other way to do this. This is a perfect family cottage with room for 8 people. The porch is peaceful and inviting with space for everyone. It offers off street parking and central air. So cozy, loved the porch sitting. We had family in from Wyoming, we spent a lot of time chatting on the cozy porch. Also walked the kids down to the park to play. We had a great stay! That is what Mt Gretna is all about, enjoying the porch sitting. So glad you had a good stay at our cottage and come back for another visit. Thank you for the kind words. Nice place, probably best in the summer. Our stay was okay. Our trip was planned so that we really sent very little time at the cottage. We literally slept and showered there....that's it. Having to provide our own bed linens and towels was very inconvenient but we were prepared and all went well. The realtor was helpful and helped our stay to be calm and enjoyable.